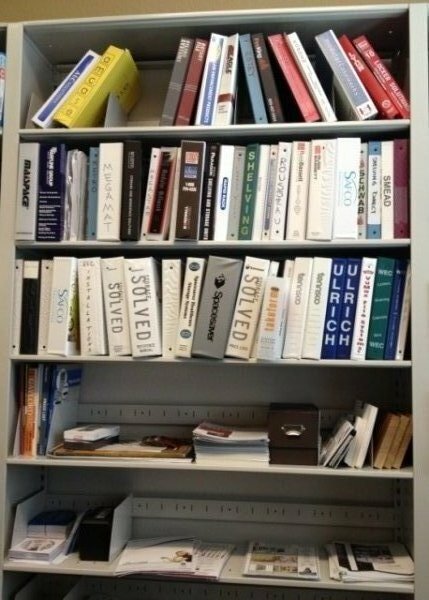 Spacesaver Open File Shelving and ShelfStor Stationary 4-Post Shelves will make your storage area more efficient and organized. 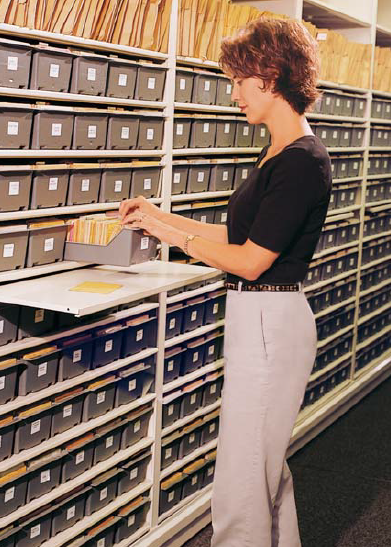 Whether you need to store heavy duty industrial parts and tools to side tab files and folders, our Open File Shelving and Stationary 4-Post Shelves will meet your specific warehouse or office storage requirements. 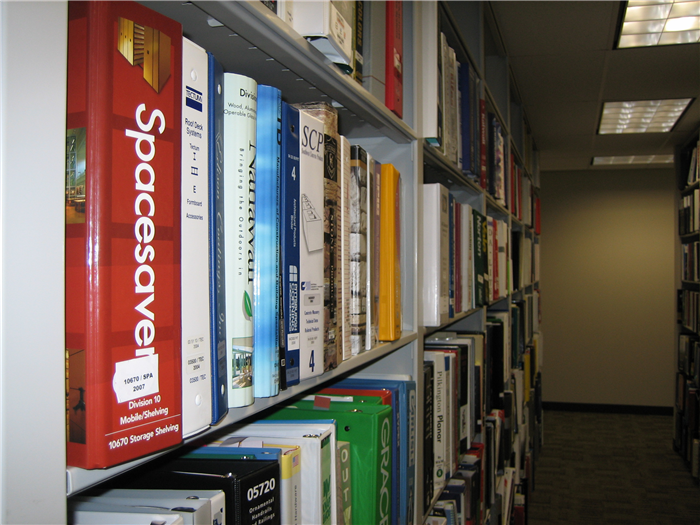 Tough and Durable Construction: Spacesaver Open File Shelving and ShelfStor Stationary 4-Post Shelves are made to be extremely reliable, strong and resilient. 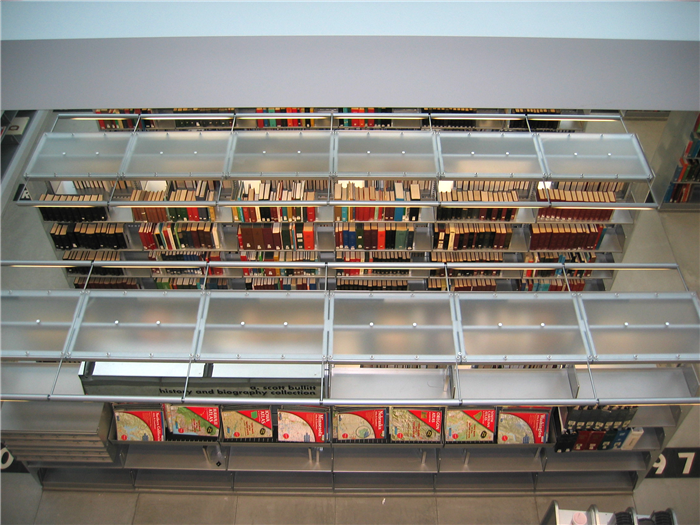 Shelves are constructed using cold-rolled steel with welded-steel uprights, which enables them to support more weight and adds structural rigidity. 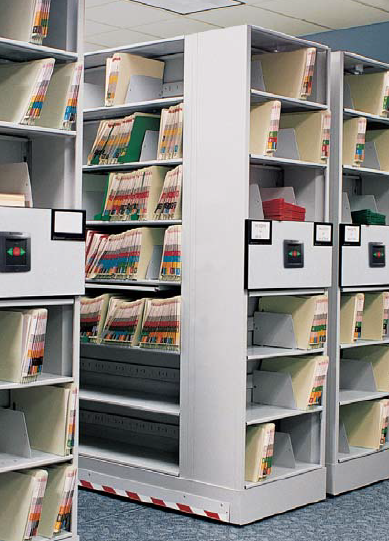 Anti-Tip Protection: Open File Shelving and Stationary 4-Post Shelves can be outfitted with anti-tip devices to help comply with seismic requirements. Even in areas susceptible to earthquakes, these devices offer an extra measure of system stability and protection. 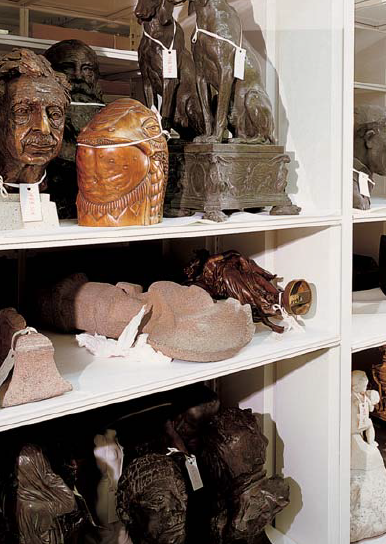 Easy to Change and Modify: Open File Shelving and Stationary 4-Post Shelves are easy to modify or relocate to meet your changing storage needs. 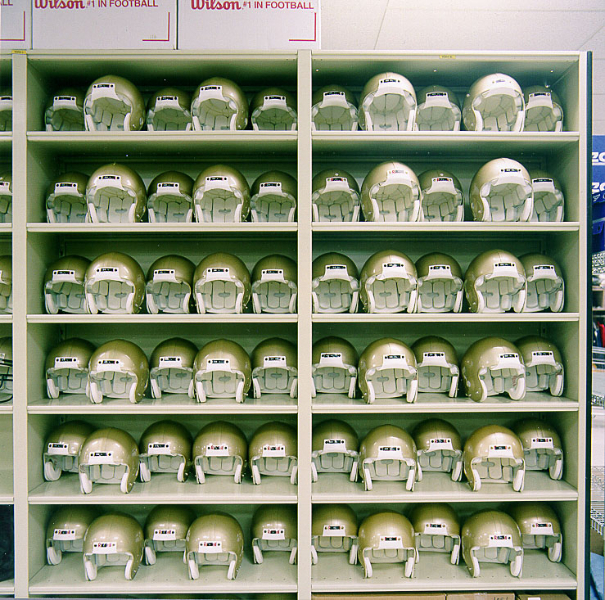 Easy Installation: There are no special tools required for installing the shelves thanks to their self locking shelf supports. 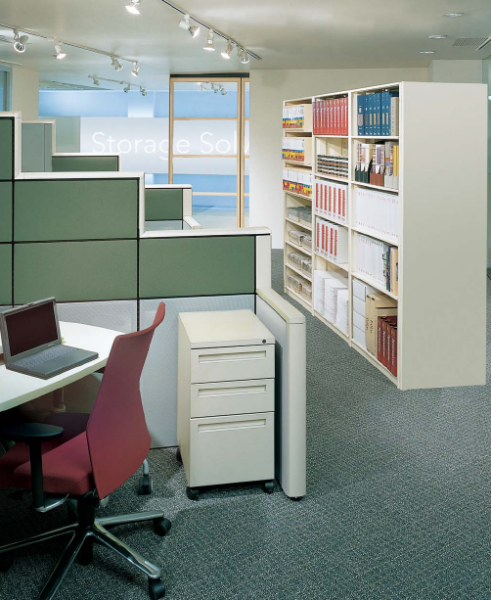 Numerous Design Options: Spacesaver Open File Shelving and ShelfStor Stationary 4-Post Shelves come in a variety of colors, end panel materials, and finishes that will provide an aesthetically pleasing look to any office décor. 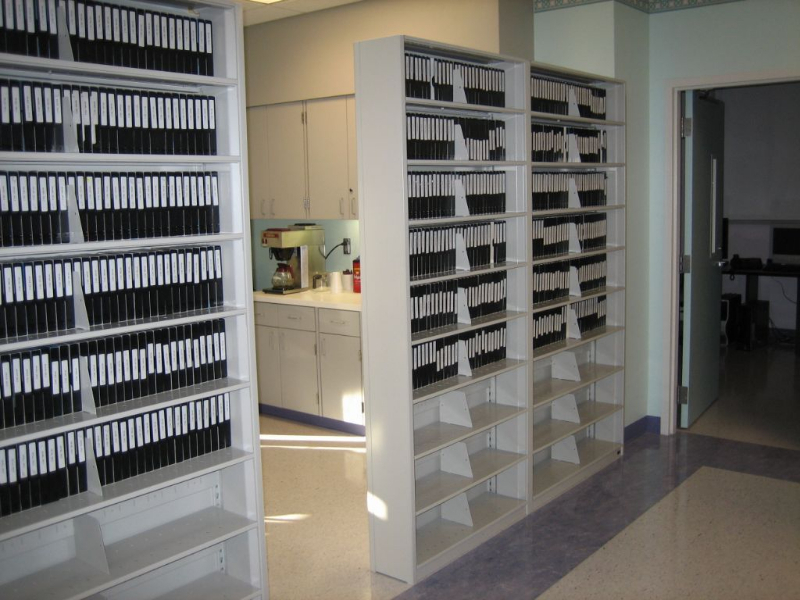 Lasting Paint Finishes: The powder-coat paint finishes are extremely long-lasting and surpass the stringent scuff, scratch and chip requirements of the American Library Association. 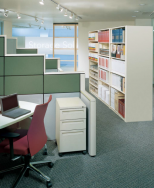 Spacesaver Open Shelving and ShefStor Stationary Shelves can also be mounted on tracks to create a floor space saving mobile storage shelving system. 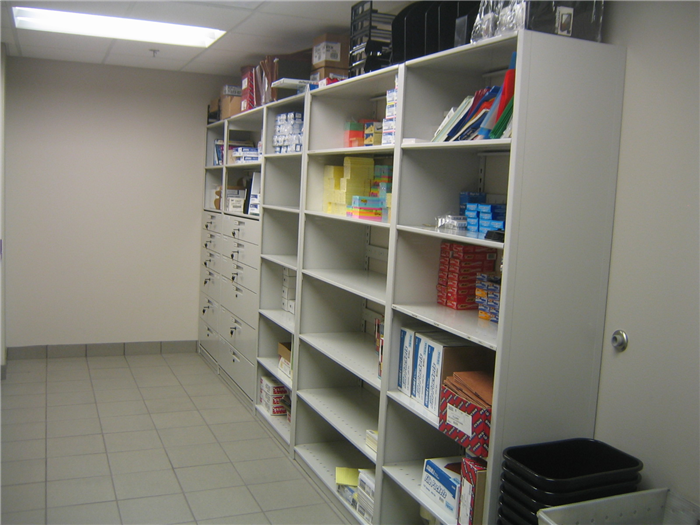 Mobile storage shelving saves space by compacting the open shelving together to eliminate unnecessary access aisles. 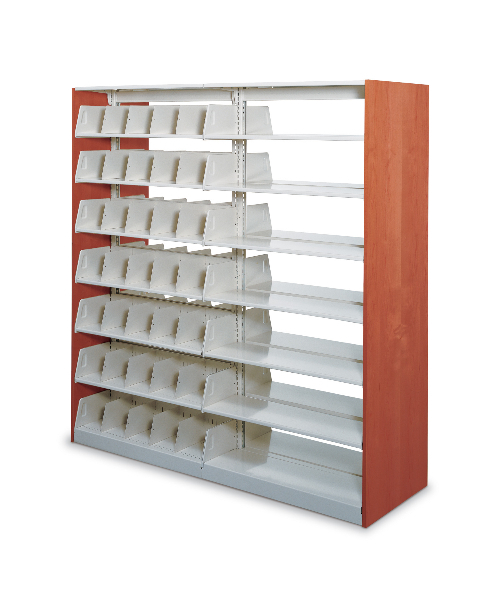 With the turn of a handle or push of a button you can expand the mobile shelving to create one or two movable aisles. 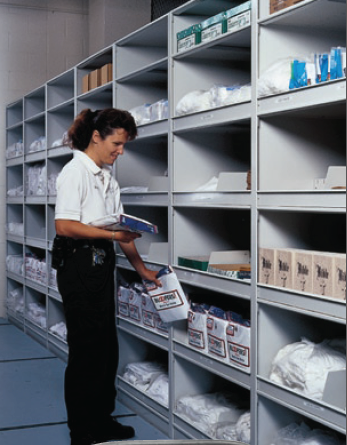 Using your Spacesaver Open Shelving and ShefStor Stationary Shelves to make a mobile system is an easy and very cost-effective way to save space.